This order has been long past due... the 62s and 62As are nearing the 40 year mark and will need to be out soon for CBTC. DARN IT I was going to do this thread! Me too! Just saw it on a Facebook group and at first didn't think it could be real! I think both fleets can do 50 years of service easily. They have been well maintained their entire careers and are stainless steel. Hopefully these will have open gangways like the R211Ts and the S stock in London. I assume we'll probably see these cars in 2024 or 2025 at the earliest. Looking forward to seeing some renderings soon maybe. 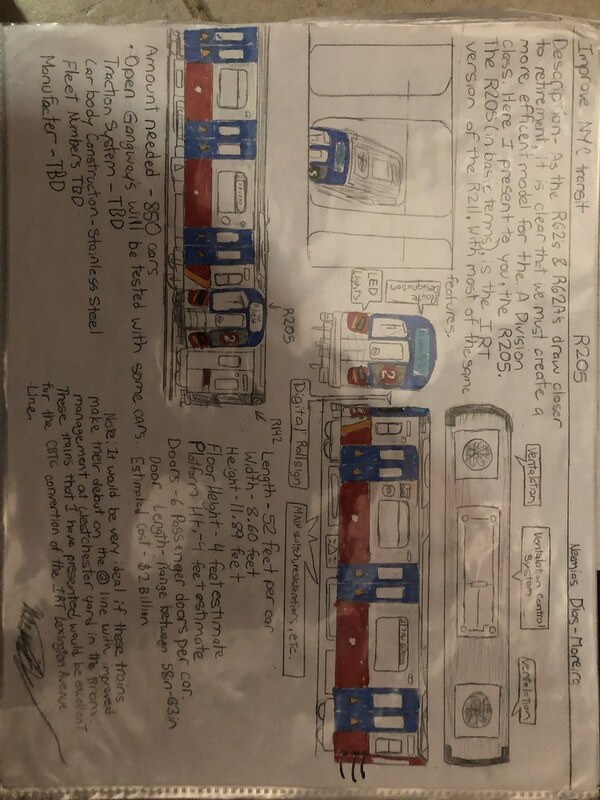 (Sorry about the fact that it came out sideways) but this was an idea that I had that is somewhat similar to the R262. What do you all think? It says including open gangway. I'm looking forward to THIS order. The will be the best trunk in the entire system. The major question is, will Bombardier be able to bid on this contract order? They were banned from all future orders, no? Only from the R211 order. The MTA might not be willing to do so, but with the potential for Kawasaki to leave the competition, idk who will take over. CRRC? Alstom-Siemens? I'd expect CRRC, Siemens-Alstom, Hitachi and Bombardier if they're not banned. Lol R262. It's just like R62 2.0 in a way! Interesting to think whether the 62s or 62As will go first. The latter fleet are a few years newer, but they've been subject to way more abuse. The 62s consistently outperform on MDBF thanks to the diminished service requirements of the (3), sort of like how the 68As ought to long outlive the 68s given their M-F use only. I wouldn't be surprised if the 62s made it longer than the newer 62As. Their latest MDBF numbers were 2.5x that of the newer 62As. Also wonder if the MTA might spread the fleets more to decrease that kind of difference. Hmm. I had an idea way back when the R211 came about that the MTA may be using the first digit of the contract number to denote generations. R3xx for the R142 replacements and so on. Just a thought. NTTs on the sounds nice. I hope this happens within the next 10 years. 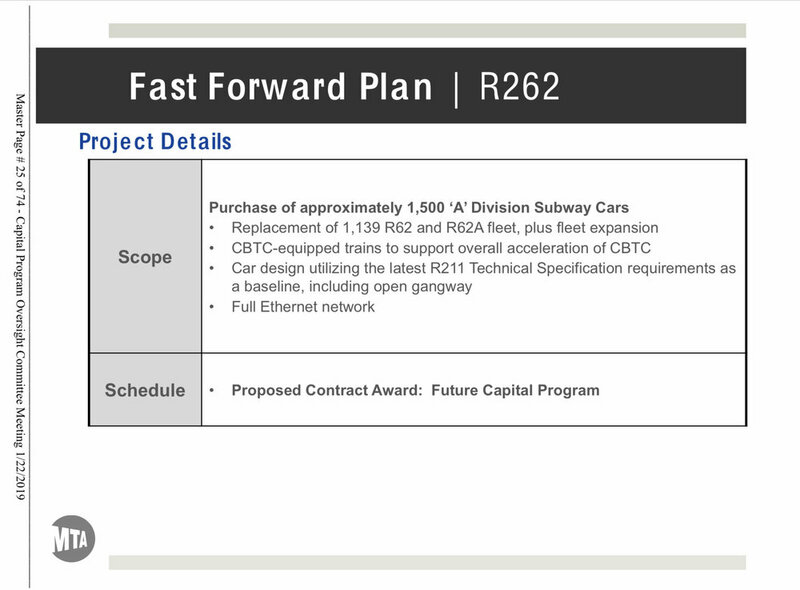 I wouldn't be surprised if they wind up on the , as the R142s from the will likely have to go to the for Lexington Ave CBTC before the R262s. And this makes sense because???? Just hypothesizing. Probably because these trains are probably decade out and Lexington Ave CBTC may be online before then. But that's just me. 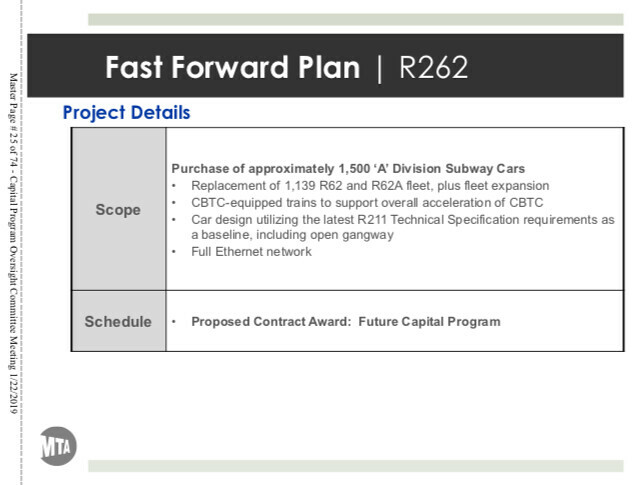 Simple, any IRT line that has R62’s and R62A’s are going to get the R262’s ... any extra R262’s would probably be added to the / since they swap cars frequently. I’m not saying you shouldn’t speculate all you want, but we won’t know for a certainty until we get closer to the launch; the contractor hasn’t even been picked yet at this point for crying out loud.